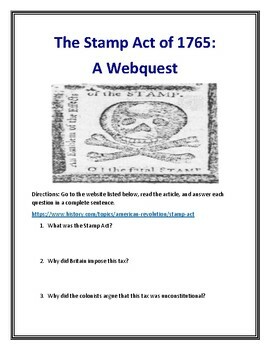 Stamp Act of 1765 (Revolutionary War) Webquest With Answer Key! 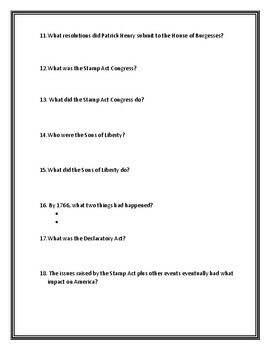 This 20 question History.com webquest will help students learn all about one of the major events that led to the Revolutionary War, the Stamp Act of 1765! Important dates and historical figures associated with this topic. Why Britain imposed the Stamp Act on the American colonists. 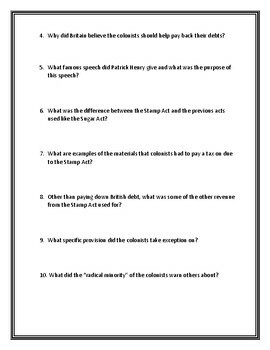 Information on the main groups within the colonies that opposed the Stamp Act. The eventual retraction of the Stamp Act and the reasons behind this retraction. The long term effects the Stamp Act had on relations between Britain and the American colonists. Students will love to learn all about this historic act through an independent webquest! 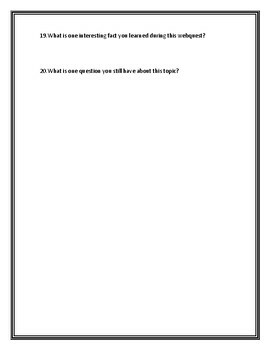 An answer key is included for your convenience!